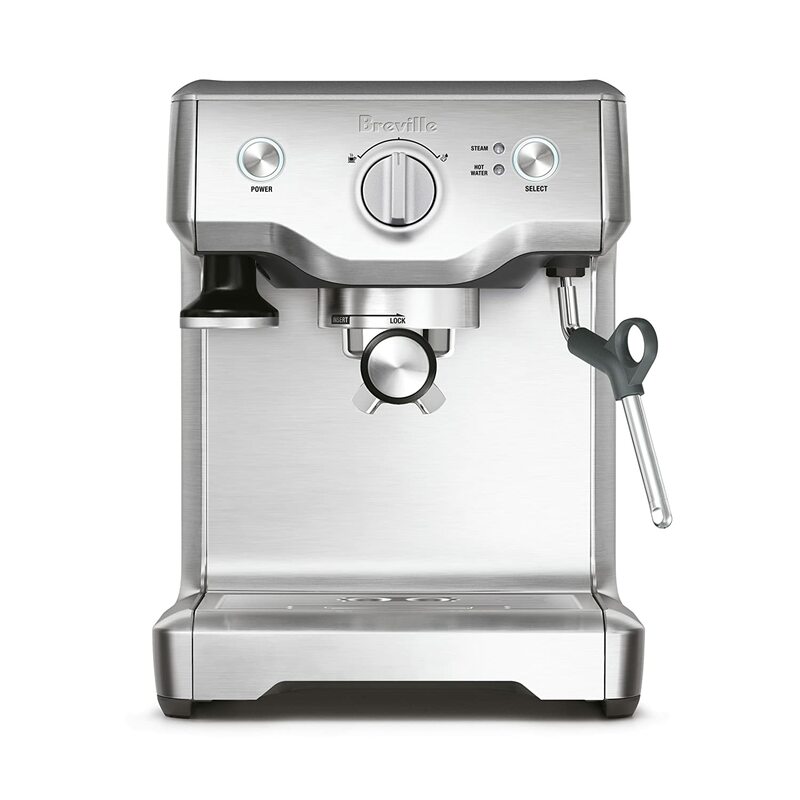 Breville is one of my favorite tech-focused companies. 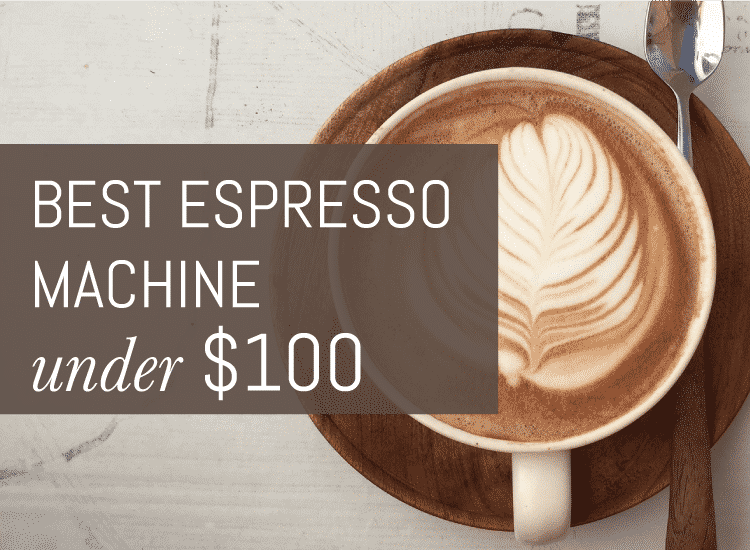 They also make some of my favorite tech-focused espresso products. The Breville Infuser and the Duo-Temp Pro are semi-automatic machines that get top marks for user experience and overall drink quality while still maintaining some affordability for buyers. The Final Shot: The Infuser takes the top spot in this match-up for its extra programmability, dedicated hot water spout and nicer selection buttons. It isn’t a significant improvement over the Duo-Temp Pro, so if your budget is top priority, go with the Duo for a comparable experience. I’m a big fan of Breville’s take on semi-automatic machines, unlike some of the more traditional semi-autos, Breville keeps just enough features hands-on, while programming the ones that you don’t really need to control yourself. It’s a great balance that is true across all the models in their line up. The Infuser and Duo-Temp Pro are two of Breville’s entry-level machines, but they are packed with some really top line features for aspiring home baristas. While these two semi-automatics stack up well against each other, the amount of customization and number of features is what differentiates them. At first glance, the Infuser and Duo-Temp Pro appear almost identical. But no, you’re not seeing double, both the machines are really similar in appearance with just a few buttons on the user interface distinguishing them when it comes to looks. When you compare basic design and durability, both machines are constructed from quality materials (thank you, Breville!). The sleek stainless steel body gives them a modern look that is becoming iconic for Breville appliances. Both machines also have a built-in PID control to monitor the boiler temperature. PID control is a proportional–integral–derivative controller that offers a control loop feedback mechanism. In other words, this helps to monitor the boiler and keep it functioning in a steady and temp consistent manner for best extraction. These units are furnished with pressurized and non-pressurized portafilter baskets. When you’re just starting out with making espresso at home, the pressurized portafilter will extract espresso when it’s at the optimum pressure. This means if you’re still learning how to dial in your grind; the Breville’s got your back. Non-pressurized baskets are great if you’re more experienced and looking for greater control. Both machines also come with 54mm portafilters and are equipped with commercial style spouts. A 54mm magnetic tamper is also included for expert tamping control. The tamper is stocked magnetically on the machine, which is a really nice extra feature that I haven’t seen on any other machine. The capacity of the water tank is also a shared feature on the Brevilles at 61 ounces, which is a really generous size. Anything over 55 ounces gets top marks for convenience. The 1600W thermo-coil heating system is also something both models offer. The thermo-coil system circulates the water through a heated coil, heating the water ‘on demand’ for better overall temperature consistency. It also utilizes the PID technology I mentioned earlier to regulate the temperature. Both the Breville Duo-Temp Pro and the Infuser takes about a minute to heat up prior to steaming. With thermoblocks and thermocoils, it takes time for the steam to reach the highest level of power. So it is smart to turn on the steam and allow it to run until it reaches full temperature. The 15 bar Italian pump on these machines gives you complete volumetric control over preset, manual over-ride and re-programmable volumes. 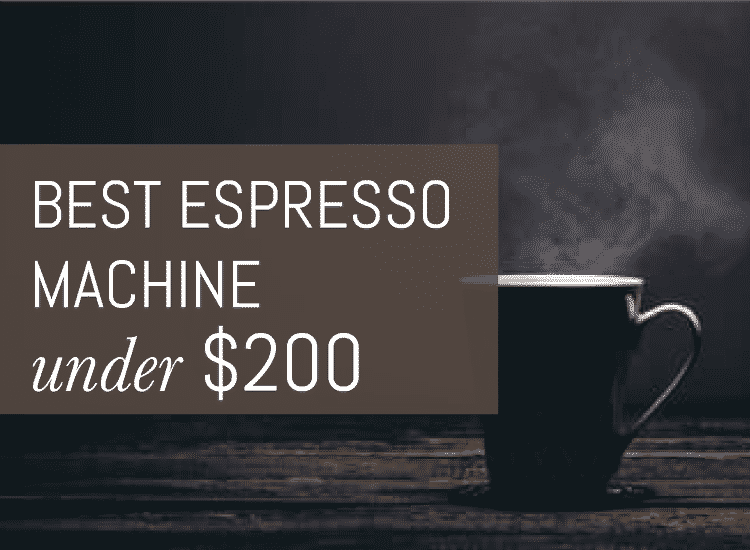 These machines also feature a conventional steam wand and auto-purge to switch instantaneously from steaming to brewing. Built-in auto-removal or auto-purge means you’re able to expedite the process and move seamlessly between extraction and steaming. Both machines will evacuate immediately after you’re finished steaming and will return the selector knob to its initial position. Most classic machines don’t include this option, so it’s a nice touch on the Brevilles. The most noticeable difference between the two, of course, is the interface. The Infuser features programmable espresso buttons and that iconic pressure gauge that shows you what’s happening in the boiler. The Infuser also has a “clean me’’ button feature which is absent in the Duo Pro. This makes it easy for users like me, who are super busy, to know when to clean the machine. The selection buttons are somewhat similar, but the Duo-Temp Pro takes a bit of a different approach with a clean interface and a turn-knob to control the different aspects of your espresso. Even though there’s no programming, it’s extremely simple to use and stacked with a lot of the same features as the Infuser. The real differences come into play with the Infuser’s advanced features. The Infuser consists of an electronic PID which you can program. This allows you to adjust the temperature above or below two and four degrees from the factory default to enhance temperature stability. There is no visible temperature display, so you will have to accept that it’s at your desired temperature. In case of the Duo-Temp Pro, it has a PID but unfortunately, you just can’t adjust the temperature. The Infuser also features a single and double shot programmable button. This helps to maintain consistency of the extraction if you use the same grind regularly. 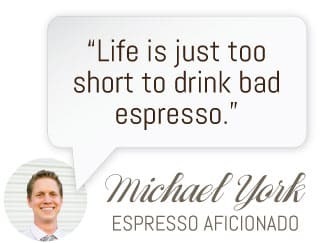 It also means that whenever you change your beans or grind, you might need to re-calibrate the espresso shot time, so just keep that in mind. The Infuser also has a dedicated hot water spout for users who love an Americano or are in the mood for hot water for hot chocolate. The Duo-Temp Pro doesn’t offer the dedicated spout but it does has a button to swatch manually between steam and hot water in the steam wand, though it doesn’t dispense as powerfully as the spout. The Duo-Temp Pro measures 15.5 x 13.3 x 17.6 inches in size, while the Infuser measures 10.2 x 12.5 x 13.2 inches. The Pro is slightly heavier than the Infuser, but not by much, they weigh respectively 18.7 and 17 pounds. The proper balance of sweetness, acidity and bitterness are what a great tasting espresso or cappuccino is about. 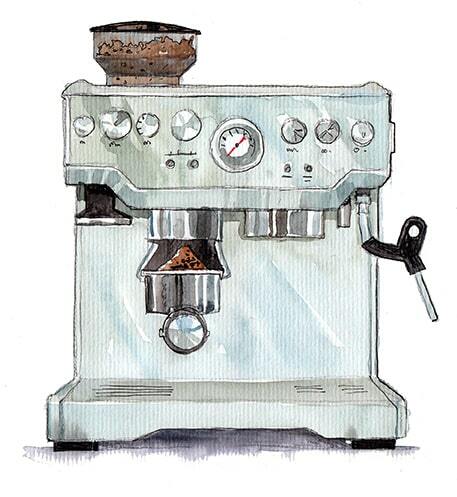 The Breville espresso machines are famous for serving up the proper balance. The Infuser offers a few higher-end programmability features for users looking for a little extra automation. The Duo-Temp Pro is a more basic, manual model, but great for new brewers who want to learn the ropes. When it comes to budget, the Infuser is a bit more of an investment over the more wallet-friendly Duo-Temp.